The excitable amphibians that compose the Happy Frogs crack book recommendation team have been hard at work this year putting together their suggestions for the 2018 Dragon Awards! There are a ton of great recommendations this time around, and I heartily suggest that you check them all out for yourselves. Robert Kroese’s Dream of the Iron Dragon takes their fantasy recommendation – and really, how can you go wrong with Vikings in space? Trick question – you can’t, so don’t even try to answer. They also suggest a masterpiece in alternate history: A Rambling Wreck by my friend Hans Schantz. Imagine a world in which Al Gore won the 2000 election and a secret conspiracy tries to rewrite the very nature of science. It’s awesome, even if it is about Georgia Tech (#GoDawgs!). And what can I say about The Orville? If you haven’t been watching it, drop everything and start now. It’s that good. 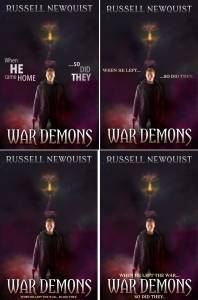 I’m also humbled to find that my own supernatural thriller War Demons has made the list for best horror novel. It’s an honor to be in this kind of company! 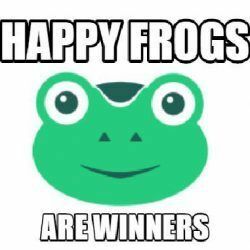 The full list is below, or you can find it on the official Happy Frogs site. Remember: the best part about the Dragon Awards is that you get to nominate and vote! Don’t forget to make sure your voice is heard – nominate for the 2018 Dragon Awards today! After modern day paladin Peter Bishop and his friend Michael defeated the dragon over the skies of Athens, Georgia, it fled to Europe – with Peter’s girlfriend Faith in tow. Well, she’s a girl. And she’s his friend. And her stunning beauty doesn’t hurt. Now Peter and his friends have tracked the dragon to France, where it’s living under a church and terrorizing the village. Can they slay the dragon, save the village, and rescue the girl before dawn? 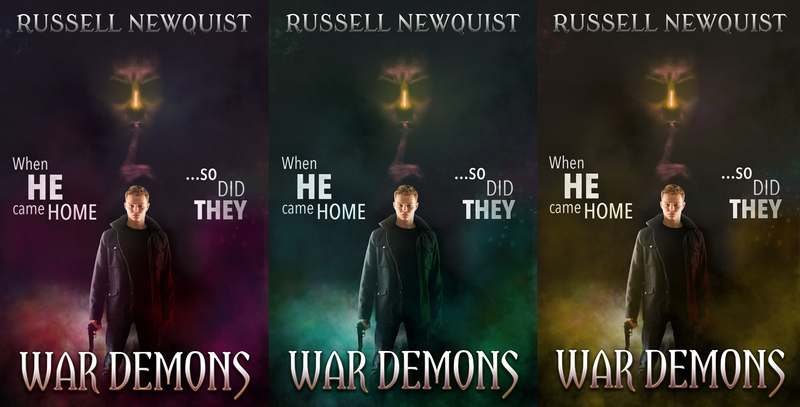 Or will a wayward priest destroy everything they’ve fought for? 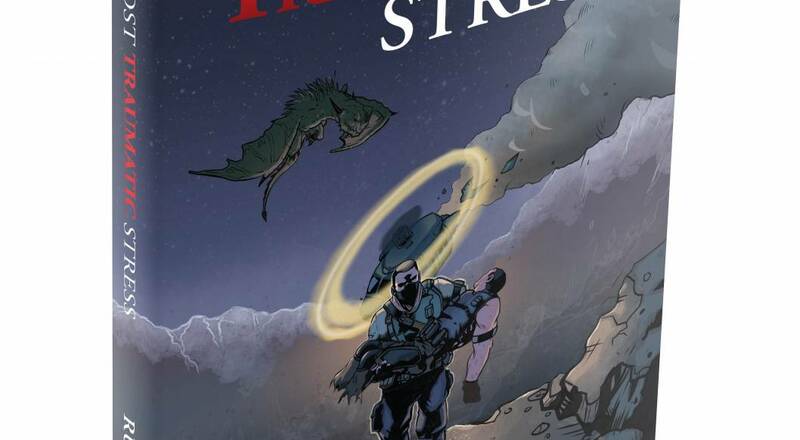 The Dresden Files’ Michael Carpenter collides with Larry Correia’s Monster Hunter International in this supernatural high-octane thrill ride! I’m particularly pleased that Catholic Reads picked up on the Big Trouble in Little China similarities, as I literally had that movie in mind while writing the story. If you have half as much fun reading it as I had writing it, then you’re in for a great time. 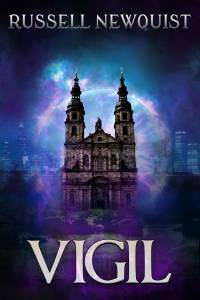 Vigil is only $0.99 on Amazon through this Saturday, so you’ll want to pick it up now. 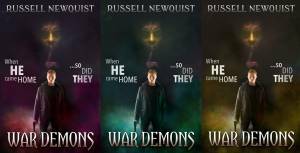 It’s also free for Kindle Unlimited subscribers. 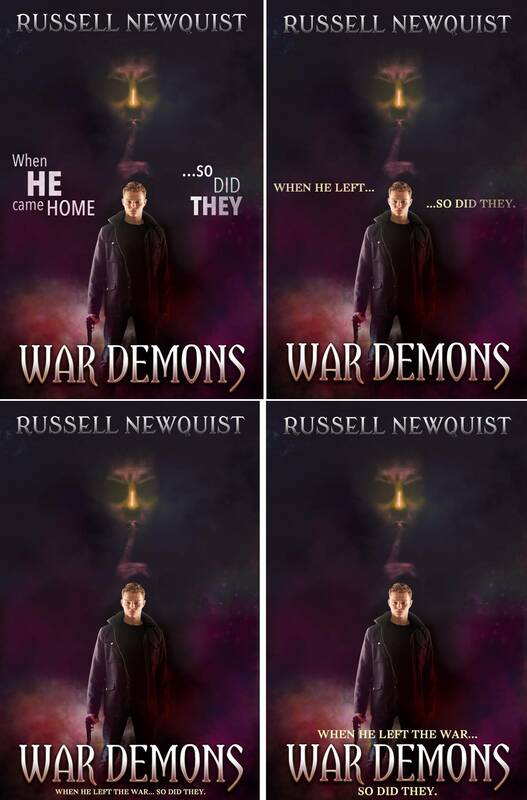 If you missed the last installment, War Demons is also only $0.99 or free on Kindle Unlimited through Thursday. My new novel, Post Traumatic Stress, will be available on August 1, 2017. You can pre-order it now directly from Silver Empire, or wait until July 25th to pre-order it from Amazon.com. Either way, today you can enjoy a sample chapter. The prologue is below. It is through suffering that the soul is purified. 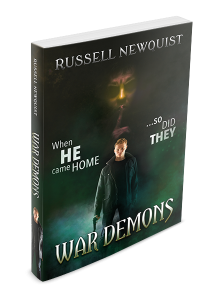 Every soldier brings demons home from war. But when Sergeant Michael Alexander came home to Athens, Georgia from Afghanistan, his war demons started kidnapping local college girls. Things got crazy when Michael tried to stop him. 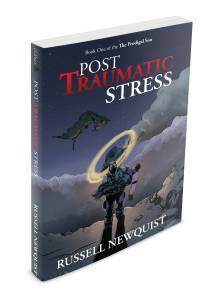 Post-Traumatic Stress delivers on its title. Newquist drills deep into the head of traumatized former soldier Michael Alexander as he tries to adjust back to normal life. 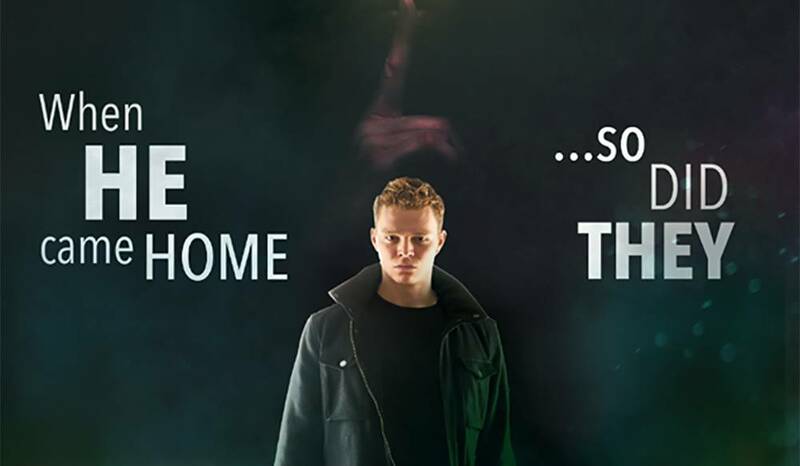 The perspective is so tight that readers will feel immense connection to the character. Tension builds with the story at a pace like a landslide. 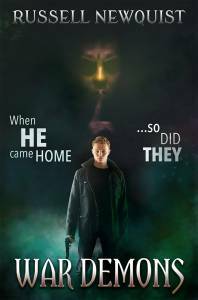 At first, one’s not sure if Michael is crazy or if he’s the one at fault for a string of murders involved. 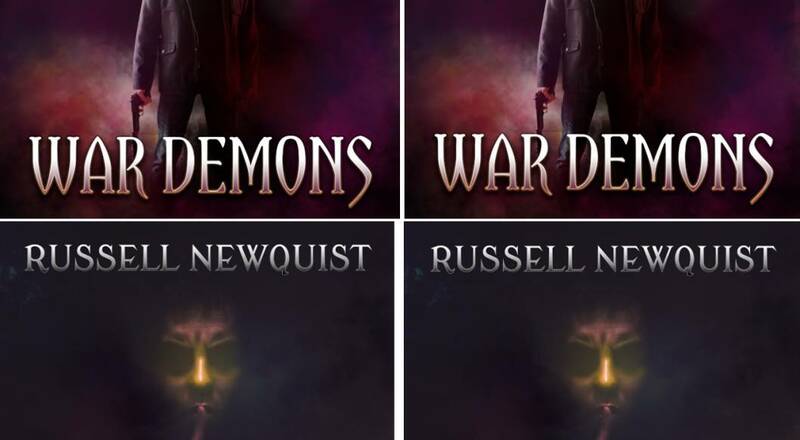 Then comes the incredible action with demons, vampires and zombies! Once the plot explodes, it’s impossible to put down. A bead of sweat rolled down Michael Alexander’s cheek, dripping onto the orange petals of the Tiger Lily in his hand. Despite the early hour, the temperature and humidity had already launched their neck and neck race for triple digits. He’d missed a lot of things about Georgia. The August heat was not among them. Despite growing up here, he’d never truly gotten used to the southern summers. He heard a noise behind him and turned, greeting the older man with a nod. The pair stood in silence for a time, paying their respects. His friend had spared no expense on the beautiful stone, nestled in amongst the others in the small private graveyard. Some of the well-preserved stones dated back to pre-colonial times. The older man broke the silence. The older man frowned at him. Michael shifted awkwardly and looked away. The point hit too close to home. James Covington let it go. The silence loomed over them for a moment. Again James spoke first. Covington’s momentary shock quickly transformed into a genuine smile. “Finally came to your senses?” he asked. The cane and the injury that necessitated it served as a constant reminder of his eighteen months in the Hanoi Hilton. He paused and waited for the young man to elaborate. When nothing followed, he changed the subject tactfully. Michael gazed up the hill at the massive house. The Covington family had lived on this land for centuries. Over time, they’d accumulated quite the fortune, becoming one of the richest families in the state. The nearby town was even named for one of them – James’ great-great-grandfather, or something. The generous offer tempted him. “Thanks, but I’ve got Pa’s place,” he answered. They shared a laugh again as Jim nodded. “That always was her type,” Michael continued. Michael David Alexander and Catherine Virginia Covington had planned to wed on September 29th, 2001. United Airlines Flight 175 derailed those plans a few weeks early when it crashed into Two World Trade Center. Katie had been on the observation deck. All they ever managed to find of her was a half-melted cell phone. The beautiful stone before them marked an empty grave. Michael had called her as soon as he’d seen the news. Miraculously, he’d gotten through. He managed to keep her calm down nearly sixty flights of stairs. It proved to be forty flights too few. He’d been on the phone with her when the tower collapsed. That afternoon he’d found himself sitting in an Army recruiter’s office, bound and determined to kill Osama bin Laden himself. “Don’t hold your breath. I’m pretty sure Abby still holds me responsible.” And she’s right, he didn’t add out loud. Covington’s eyes bored into him, and for a moment Michael felt certain that he knew. That shouldn’t be possible, but there it was. Covington tossed his head back in laughter. Michael agreed, but he took one last moment of silence at the grave. Covington watched somberly as Michael said a soft prayer and laid the Tiger Lily on Katie’s tomb. “They always were her favorite,” the old man noted. Michael agreed. They began the long walk up the back side of the property to the house. Out of habit, Michael had parked in between the twin garages on the south side of the house. With the morning heat rising, he wished he’d parked in the parking garage in the rear instead. It was much closer, and he already missed the air conditioning of his car. The older man eyed Michael sideways as they walked, frowning. “Helicopter accident,” he let out slowly. Memories leapt unbidden into his mind, vivid as the daylight around him. Teeth. Sinew. That glowing yellow nose. He forced them down, but he couldn’t keep the look off his face. The younger man met his eyes and nodded. He supposed he had to tell someone. Who better than Jim Covington? “I will. I promise.” They shook on it, and then Michael reached for the door to his car. “Hold on,” James told him, reaching into his pocket. He pressed a button on the chain. One of the three doors on the larger garage bay opened. “You took off so fast I couldn’t deliver your wedding present.” He tossed Michael a key chain. As the door rose Michael recognized the car at once. The deep metallic gray body of the 2002 Porsche 911 Carrera Turbo gleamed in the morning sunlight. Once, Michael had dreamed about that model car, lusted after it almost as much as the girls he used to chase. “I can’t accept this,” he said, preparing to return the keys. Covington turned his back before he could throw them. The older man flashed an enigmatic grin. Michael gazed longingly at the Porsche for a long moment. Visions of racing it down the back roads of Georgia flitted through his head. He grinned. Then he frowned and shook his head, glad he hadn’t gotten the car years earlier. He probably would have crashed it on the first drive. Eventually, he pressed the button on his new key chain and closed the garage door. A moment later, he drove his beat up Subaru down the long driveway of the Covington estate, thanking God for air conditioning. Pre-order it now directly from Silver Empire, or wait until July 25th to pre-order it from Amazon.com. Post Traumatic Stress is a roller coaster thrill ride. It hooks you, clicks up to the peak, then sends you screaming all the way down. Masterfully done. The conspiracy nuts would have a field day with this one. The Major already knew that the truth would never, ever see the light of day. He could already imagine some of the crazy theories they’d spin. But whatever they came up with would never match what had actually happened over the last few days. That thought almost made him laugh out loud. Almost. He surveyed the strangers around him, still trying to wrap his head around everything. The Monk knelt off to the side, praying in Latin. The Major didn’t understand a word of it. But there was strength in that prayer – strength and power. It rang forth with the clear voice of a true believer. Its energy drew in everyone around him. For a moment, they all believed. The Old Man calmly directed suppressive fire toward the cave entrance. He set careful fire zones to ensure a clear path to safety for the last handful of fleeing soldiers. He knew his work well. Clearly he’d had military experience in the past. His team was the best. Today, that hadn’t been enough. Bodies littered the ground around the cave entrance. Plenty more remained hidden underground. But the official report wouldn’t show that. The casualties would show up on another report from another operation on another day. Families would be told their loved ones had died in battles they’d never fought; some of them in places the soldiers had never visited. Officially, those men had never been here. The Commander had commandeered his radio after those REMFs back at headquarters had denied him permission for an airstrike. The Major and his team called in air strikes all the time – and they’d called in plenty earlier that day. He didn’t understand why he lacked the authority for this one. Whoever he was, the Commander didn’t have that problem. He barked a few strange phrases into the radio, obviously code words. A brief moment later, the authorization came back. His soldiers held their positions, maintaining fire despite their frazzled nerves. Under the circumstances it seemed like a miracle. Yet despite their lack of preparation for the day’s horrors, they really were the best of the best. Now that they’d escaped that death trap, he knew that they would hold. He brimmed with pride at their performance today. Even by their own superhuman standards, every man among them had gone above and beyond. The buzzing of an incoming aircraft caught his attention. He snapped his head to the sky, and found it quickly. The propeller driven C-130 Hercules flew low for this one – right around six thousand feet. The unguided “dumb” ordinance didn’t have much precision. To be fair, a bomb that size didn’t need much precision. But it did need some, and that meant flying low. And then he saw it – the parachute popping out the rear of the plane, followed by the gleaming silver oblong blob. It even looked like one of the largest bombs ever built. The Major watched the device fall downward toward the mouth of the cave, noting thankfully that his men had all cleared the blast zone. This one would be loud. And jarring. The parachute took almost three minutes to deliver its payload. Those three minutes felt like an eternity. A shout rose up among the men as a shadow emerged from the cave. All went quiet for a moment, as they recognized the shape that had terrorized them in the darkness. Then the Knight emerged, injured and weary. Despite his obvious fatigue, he launched straight into a ferocious assault on the dark form. The men cheered. His team didn’t need orders. Every man among them knew they owed their own lives to the Knight. He’d been the one to engage that thing, buying them all time to escape. They shifted their aim and unloaded everything they had into it. Hundreds of rounds of ammunition pounded it, to minimal effect. Still, they fired away – anything to help the Knight, but most of all, anything to keep that nightmare inside the target zone. The Knight glanced to the sky. He clearly knew what came his way, yet he never wavered. He never even tried to escape. He knew what everyone else knew. 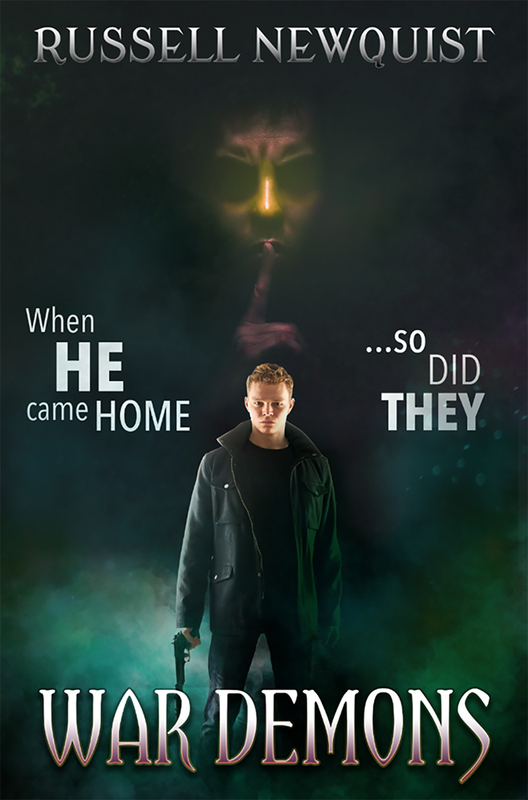 If he let that shadowy terror escape, it would all be for nothing. So he attacked with everything he had, keeping his opponent pinned down just inside the cave mouth. The show ended with an explosive finale. The bombardiers knew their work. The combatants, barely out of the blast radius, found themselves blinded and deafened. If anything, the quiet that followed disturbed them even more. Nothing moved within the blast zone. His men ceased fire. What would be the point? Anything that could survive that would laugh off their remaining weapons. Hours later, after the blast zone had cooled, the strangers led a hunt through the rubble. The blast had vaporized everything. Not a trace remained of the shadow, nor could they find any remains of the Knight. The Major had thought nothing else could surprise him that day. He learned he was wrong when they found it. It gleamed bright after they wiped the ash off. He couldn’t find even a tiny scratch on it. The strangers brought it out of the blast zone and lay it in a clearing. Kneeling before it, the Monk led a prayer for their fallen comrade. The Major knelt and joined in. His men followed – every one of them, men of all faiths, even atheists. Not necessarily for God or for the Christ that the Monk prayed to, but for this man, this Knight, who had given his life for them. Soldiers, one and all, saluted a fallen comrade. Afterward, the Commander wrapped the artifact carefully and packed it up. Night would fall soon. The Afghanis wouldn’t support an assault in the dark, even after the bombing. After what he’d seen in the cave, the Major didn’t blame them. They’d send a team down in daylight to sift through the rubble and see if they could identify the bodies. The strangers joined them silently on the trek back to their base camp. But they slipped away in the night, bypassing even his watch. The Monk, the Old Man, the Commander and the Knight. He didn’t know their names or where they came from or where they went. But he knew what he’d seen in that cave, and it altered his life forever. The conspiracy theorists would have a field day, yes. But their wild theories didn’t have anything on the truth.